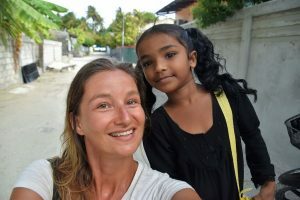 My first time in Maldives was in September 2017 and the first 10 days out of 27 there I spent on Thoddoo island. Thoddoo Maldives is an interesting local island that can be visited by tourists. There’s a speedboat from Male going to Thoddoo every day except Friday so it’s easy to get to Thoddoo. 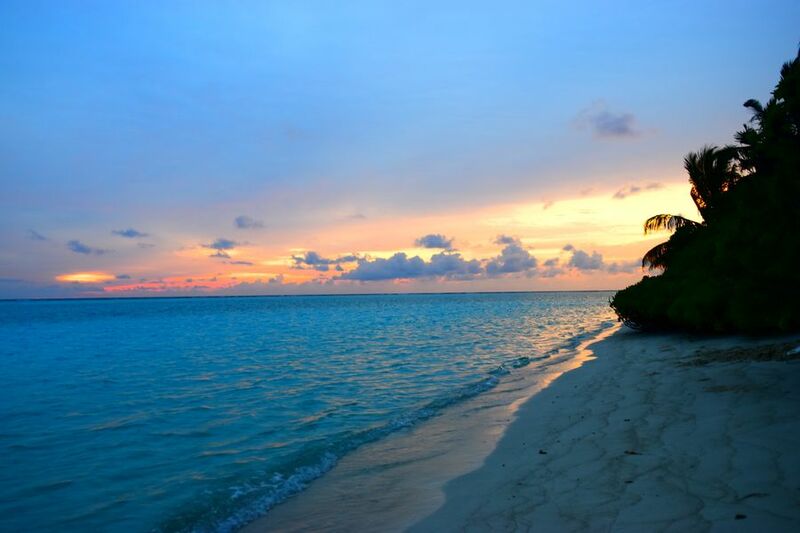 What else should you know about Thoddoo island before planning your visit there? 1. Thoddoo island is located approx. 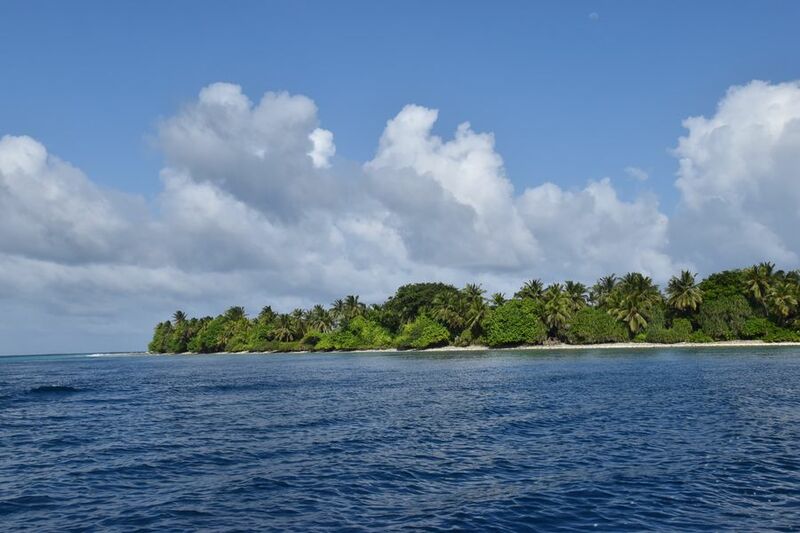 67 km NorthWest from Male capital in the Alif Alif Atol in the Republic of Maldives. 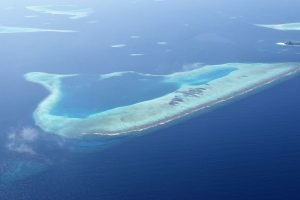 Thoddoo is also located 20 km from Rasdhoo island. You will not see any other islands right from Thoddoo as all are a bit further away. To me, that’s a great plus. 2. The island is just 1.7 km long and 1.2 km wide. One third of the island is the village itself, another third is fields, and the last third is empty/wild vegetation. 3. 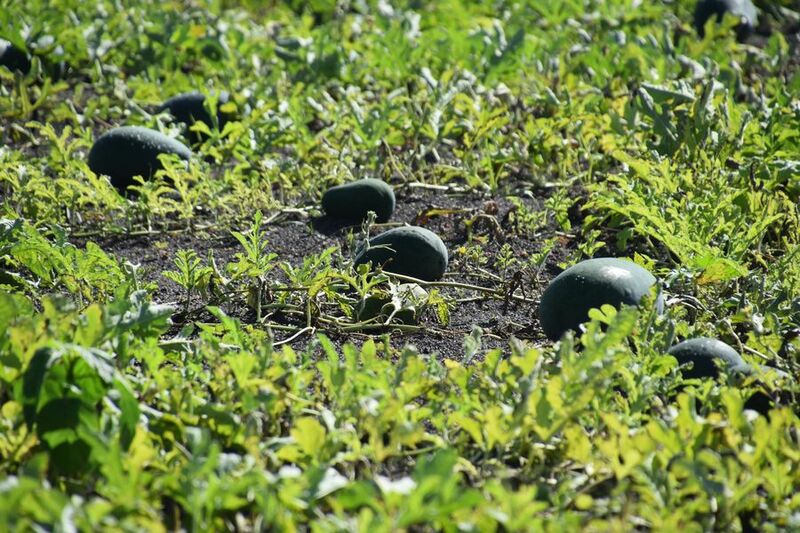 Approximately one third of the island is covered with fruit and vegetable fields. Thoddoo is the biggest producer of fruit and veggies out of all the Maldivian islands which is a big advantage for the island guests. 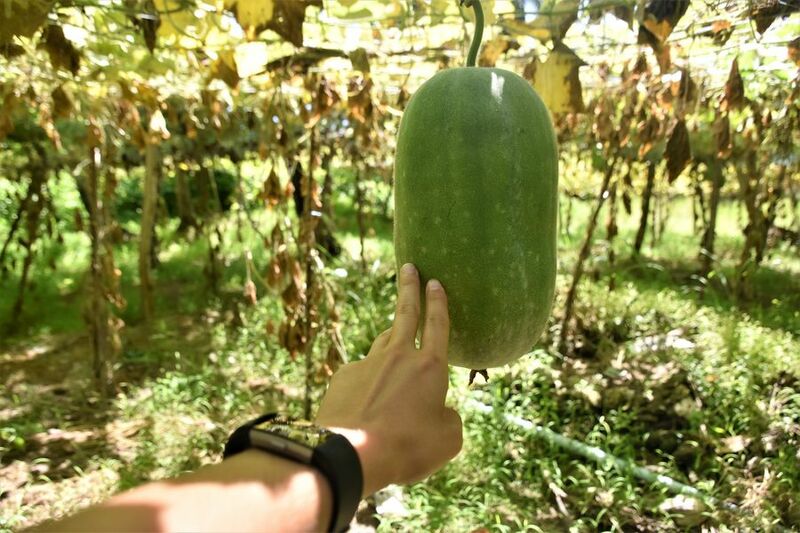 You can walk around the island and see how they grow fruit and veggies, and then taste them at the local guesthouse/restaurant. They do cook many meals using the local ingredients, too. 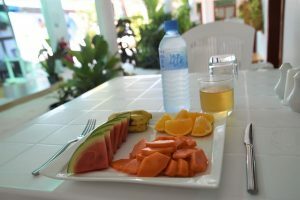 Not sure if you’ve known it but a big majority of ingredients are imported to the Maldives from surrounding countries, but on Thoddoo you can get many fresh, local fruit and veggies without chemicals. 4. Loads of papaya, watermelon, cucumbers, eggplant, spices, green and red salads, chilli peppers, bananas, pumpkins, coconuts etc. are grown on Thoddoo. I believe they grow 2 different kinds of watermelon and also 2 of papaya. Thoddoo island is the largest producer of watermelon in Maldives. 5. Many locals make living out of fishing, agriculture and slowly from tourism. 6. 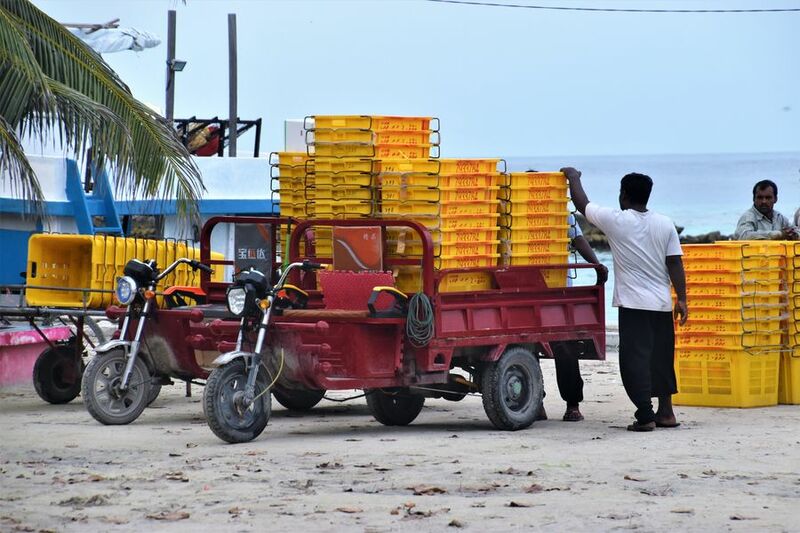 There’s a boat picking up veggies and fruit from Thoddoo and taking them to Male 3 times a week in the evening, and every night at Ramadan. Go to the port to see it. 7. 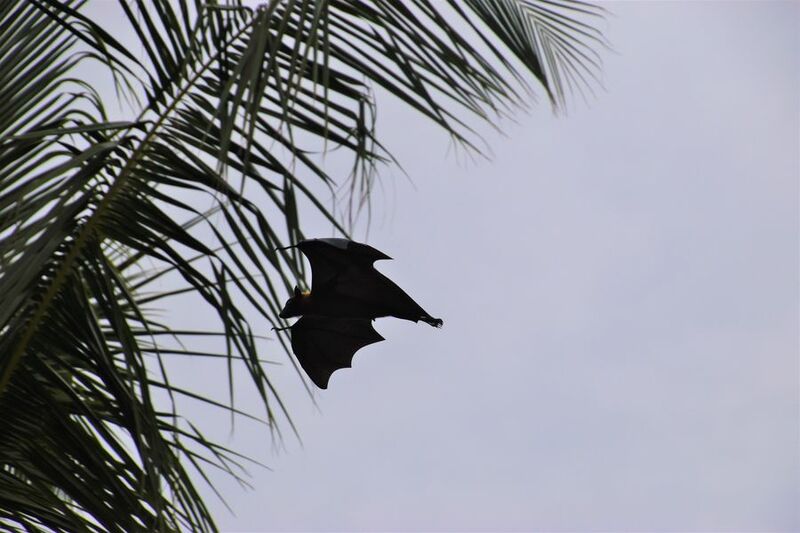 Big fruit bats fly above Thoddoo mostly at sunset time. If you are going back from the beach to your guesthouse at sunset, look above the papaya trees and the bushes. They are half an eagle size, so big, so impossible to miss them! 8. Approximately 150 m long Bikini beach is part of a breath-taking 400 m long white sand beach. There’s free entrance to the bikini beach, and you can also use free sunbeds. Shade under the trees is a big advantage, as you don’t need to get tan/sunburn if you don’t want to. 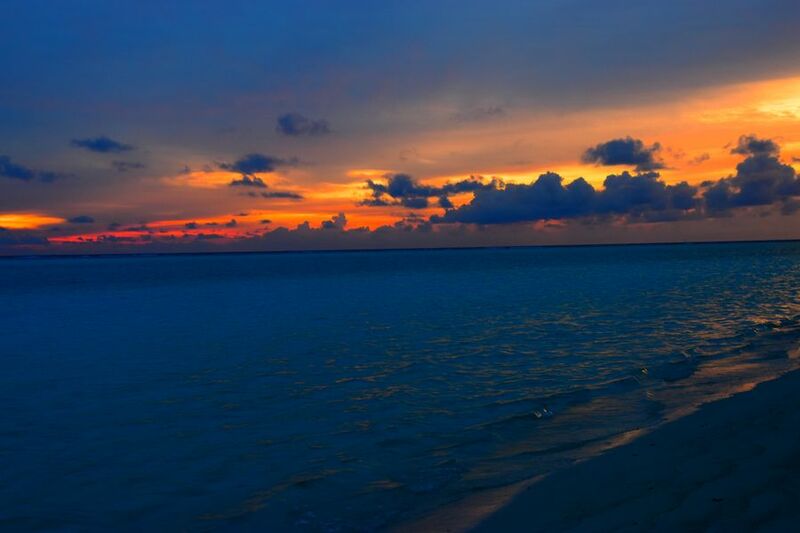 As the Bikini beach is located in the Southwestern part of Thoddoo, you can watch sunset on the beach. 9. It’s not allowed to swim just in bikini on other beaches on the island because you need to follow the Muslim rules. Maldives are a Muslim country so women have to cover their shoulders, elbows and knees. Women need to walk covered up around the island and on any other beach but the Bikini beach. So if you are planning on visiting Thoddoo, make sure you bring long pants and shirts with long sleeves or sarongs/scarfs to cover up. 10. There’s a hospital, 2 football fields, a school and also a kindergarten on Thoddoo. The kindergarten is not using any plastic bags. Thumbs up! 11. There’s 2 mosques on Thoddoo. One of them was built by an owner of a big Maldivian resort. 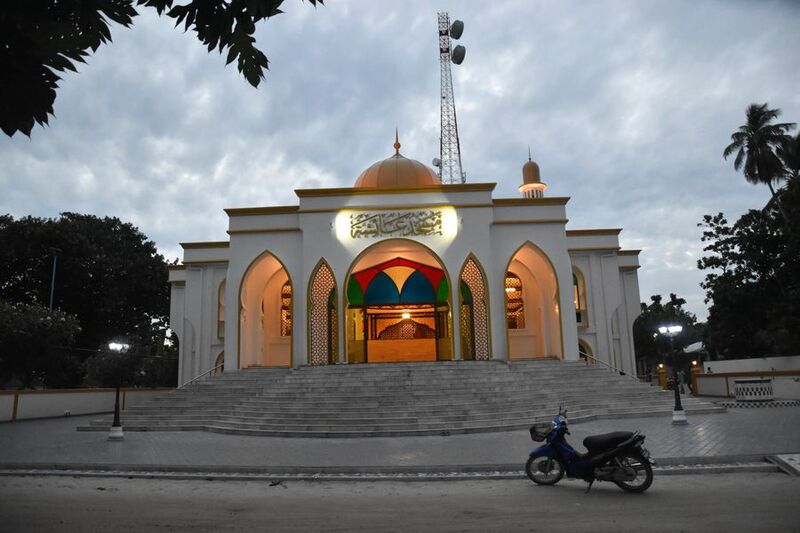 I’m talking of the big colorful mosque Masjidhul Aisha on the main island street which is supposed to be the biggest mosque on all local Maldivian islands. At least that’s what I heard. There’s prayers a couple of times a day and you will hear the prayer music/voice if staying somewhere in the inhabited part of the island before and after the prayers. I loved to listen to it at approx. 6.10 pm and then 7.20 pm as I knew it was dinner time for me. But it was not so much fun at 4.40 am though when the prayers would wake me up. 12. 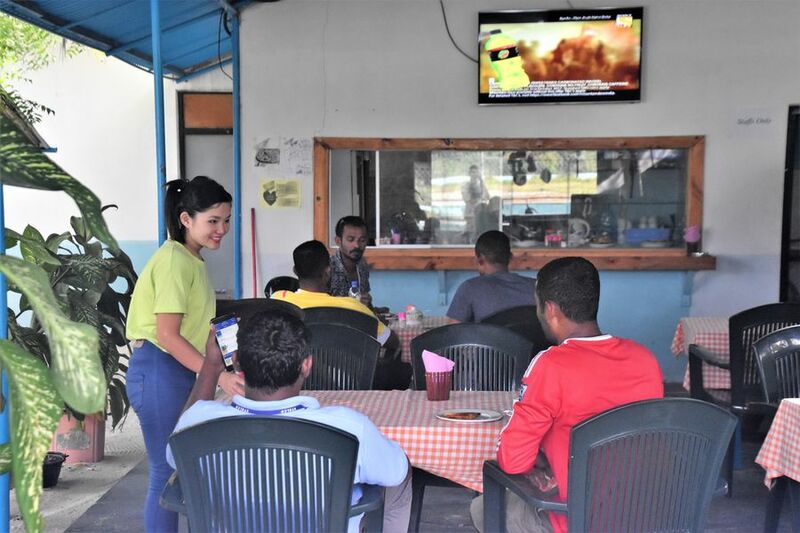 It’s not allowed to drink alcohol on Thoddoo, similarly to most of other islands inhabited by locals in the Maldives. That’s why alcohol is very expensive and difficult to get and could be drank only on a tour to uninhabited islands outside of Thoddoo. 13. There’s Dhaagabaa Buddhist temple on the island but it’s not open any more. An important Buddha statue was found there in 1950’s. The area around the Buddhist temple was cleaned in the year 2000 but it’s been all covered with tall bushes ever since again. It’s a shame as most of the travelers will never even find out about the temple as it’s not possible to go there. 14. The Thoddoo island is very safe. 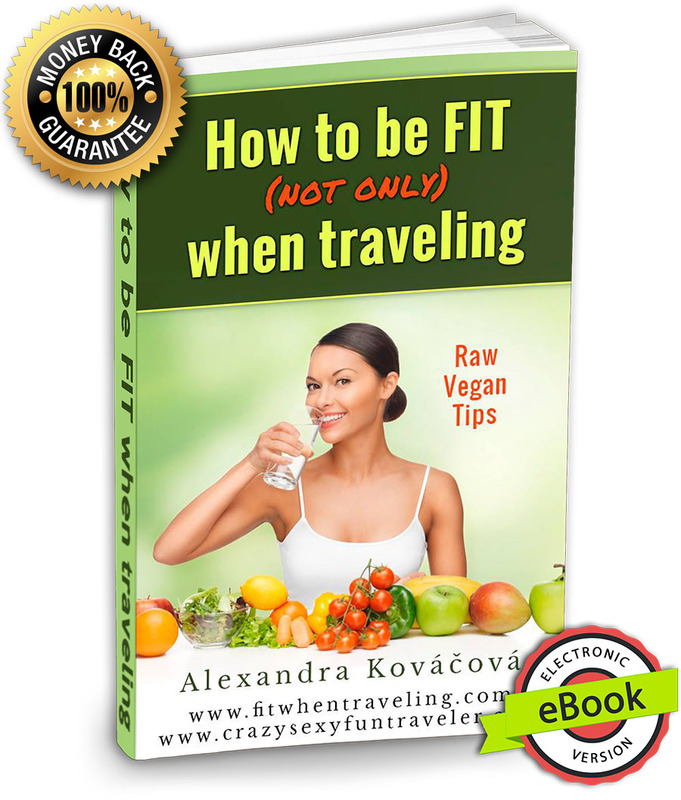 You can walk around without any problems on your own, during the day and also at night. 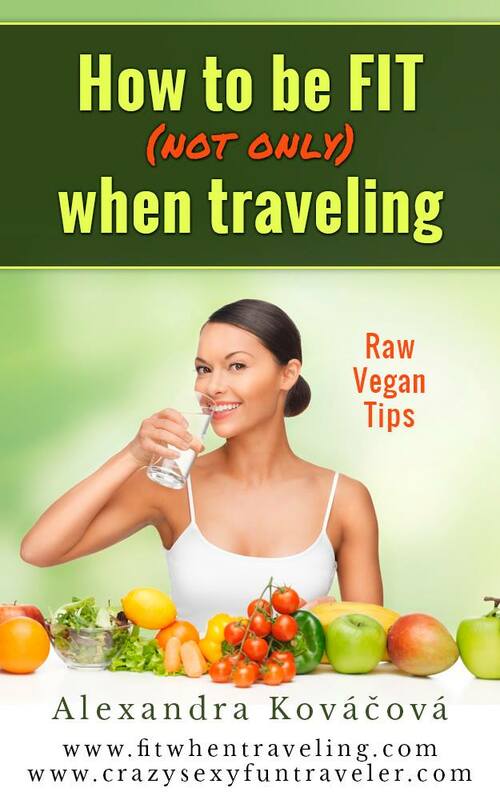 I did not feel in danger at all when walking around as a solo female traveler. People were friendly and said hi to me or nodded with their had as a greeting most of the time. Some even offered me a ride to or from the beach when they saw me walking. 15. Shared speedboats going from/to Male to/from Thoddoo run every day except Friday and they cost $35 per person. There’s also a public ferry but it takes up to 4 hours and can get cancelled quite often. To save time, speedboats are highly recommended. You could also hire a private speedboat between Male and Thoddoo for a couple of hundreds $. However, the cheapest option is definitely shared speedboat. The speedboat from Thoddoo to Male leaves between 7.30 and 8 am, and from Male to Thoddoo the time depends on when there’s more people going. I’ve heard it’s at 4 pm but when I was there, we took a speedboat at 1.30 pm. If you are staying at a guesthouse, they can check out the exact speedboat schedule for you. 16. There’s 3 coffee shops on Thoddoo island. 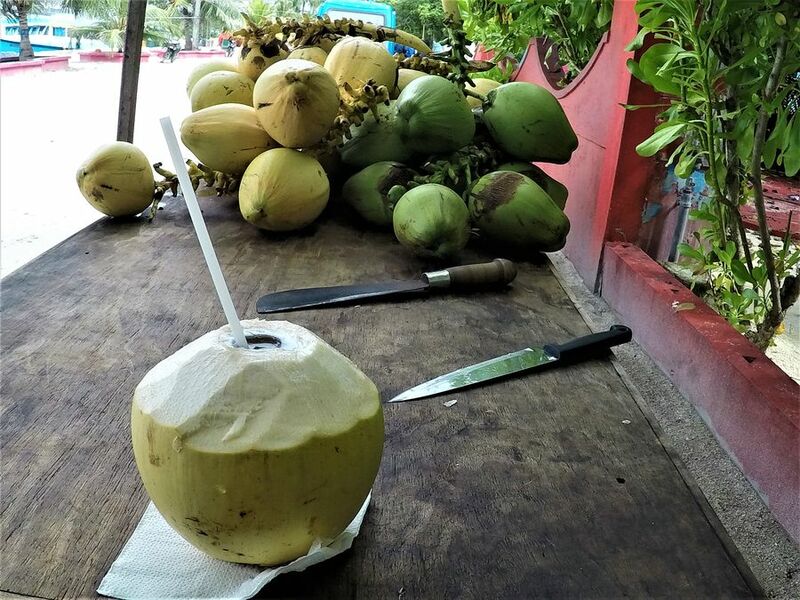 One in the port called Thin Ari is a local coffee shop but I went there a lot to get a young coconut per $1. I was always the only foreigner at Thin Ari but all the locals would smile at me and the waiter was also nice to me. Another cafeteria Sunset Corner is by the football field but it’s more expensive than Thin Ari. And the third coffee shop is a bit further. 17. 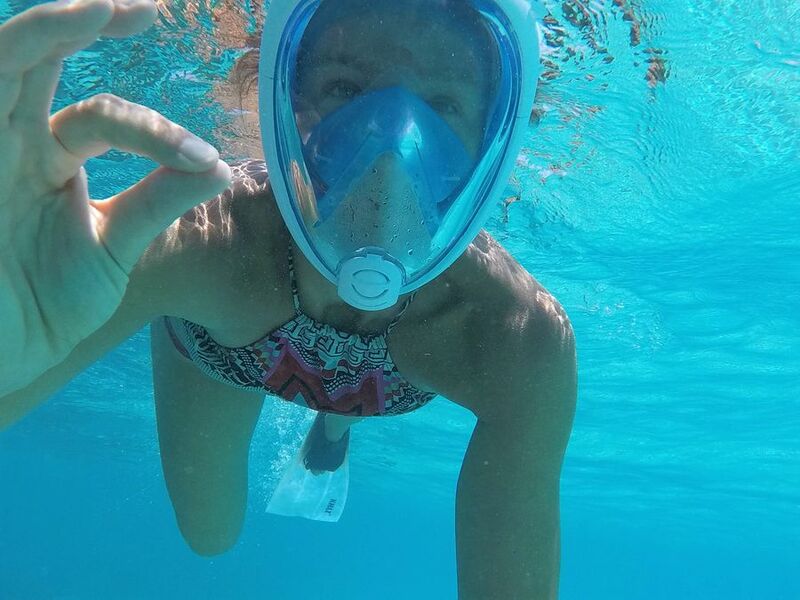 Two scuba diving centers can be found on the island. They offer different water sports, such as scuba diving, water skiing, parasailing, SUP etc. I haven’t had time to try any of them personally though. 18. Almost every house on Thoddoo has really tall trees in their garden, called betel. The locals chew their leaves after eating or smoking together with areca nut and spices. It’s a famous Maldivian tradition. 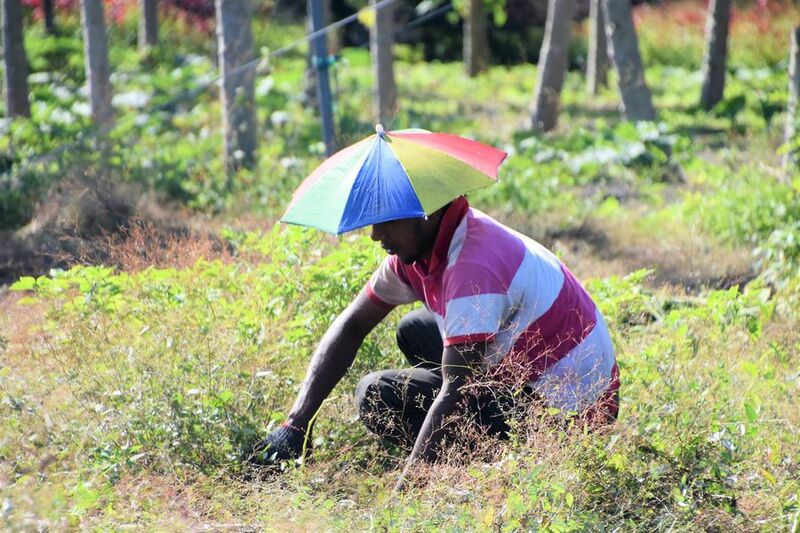 Many Thoddoo families also earn money from betel exporting the leaves to Male as well. 19. There’s some fruits grown on Thoddoo, such as fufu which I’d never seen anywhere else. Fufu is called winter melon, ash gourd or winter gourd in English. It’s a vine fruit which is eaten as vegetable when mature. All I know is that they use it for curry, together with curry leaves that are also grown on the island. 20. Only approximately 1,400 people live on Thoddoo. 21. The locals use motorbikes to get around the island, or simply walk. There’s very few other vehicles that serve for transporting veggies and fruit. 22. There’s a couple of small shops and supermarkets on Thoddoo. If I am not mistaken, Bright Store is the biggest one. It’s situated close to the port. They sell fruit, veggies, drinks, snacks, pasta, rice, cosmetics etc. there. 23. It is possible to buy adaptors in the local shop, too. 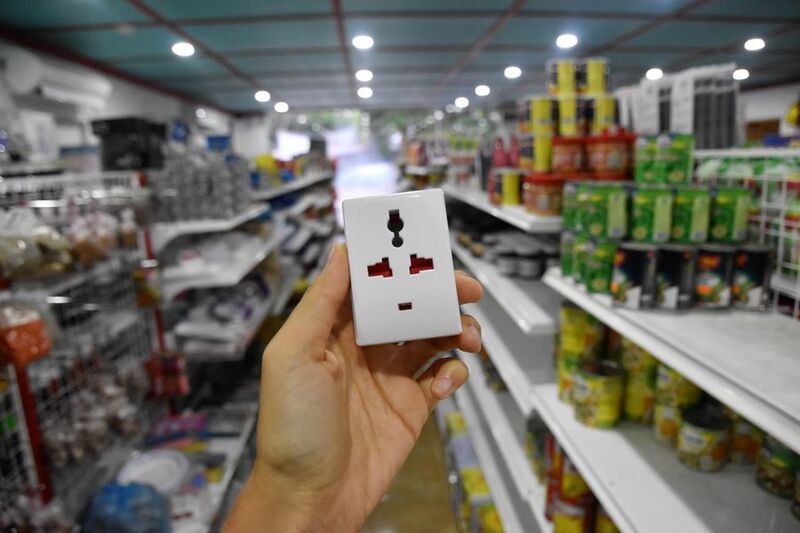 If you don’t have British plugs and your guesthouse doesn’t provide you adaptors, you can buy a cheap one at Bright Store. 24. 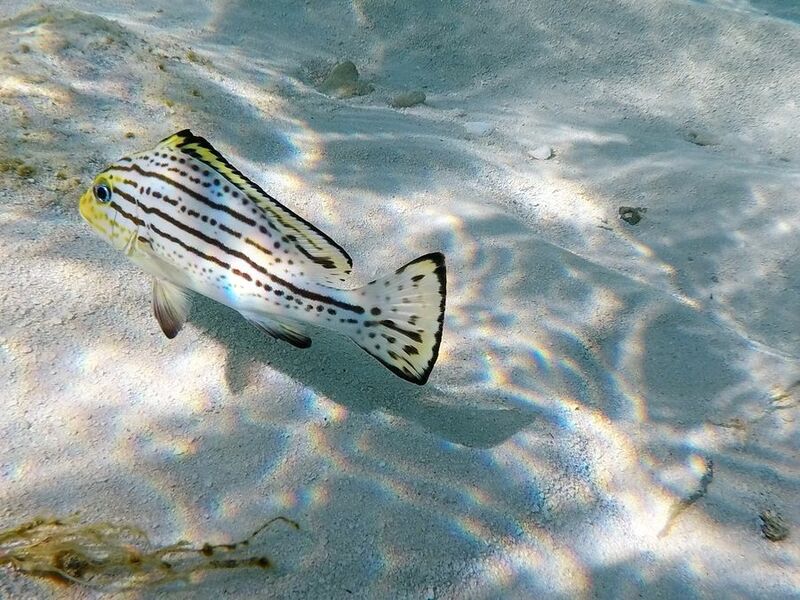 Corals and many fish can be seen when snorkeling close to the Bikini beach. There’s also a family of sea turtles living further from the Bikini beach towards the left side. However, be careful with the strong current. PS: Most guesthouses do offer snorkeling gear for rent. Summer Inn Thoddoo where I stayed, does it, too. 25. The movie Ghosts Can’t Do It was filmed on Thoddoo. Although Donald Trump appeared in the film, he never visited Thoddoo island. 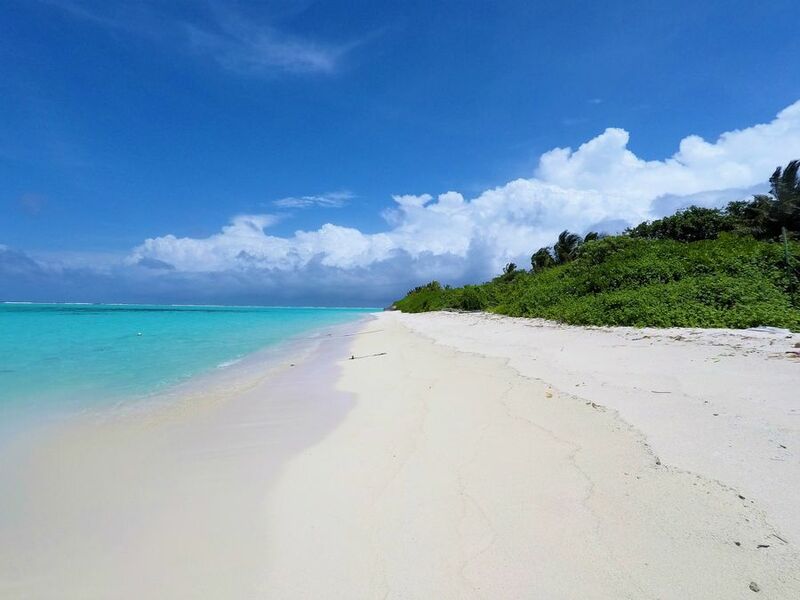 TIP: If you are from Slovakia or Czech republic and would prefer to visit Thoddoo or other islands in Maldives with a travel agency that will organize the whole trip and accommodation for you, then I recommend you Maledivy-levne.cz. *Ak si zo Slovenska alebo Českej republiky a radšej by si chcel ísť na Thoddoo alebo iné ostrovy na Maldivách s cestovnou agentúrou, potom ti odporúčam Maledivy-levne.cz. Looks and sounds like a paradise island. Thanks for the useful information.